The Incredible Hulk Portfolio (Boxed Canvas), signed by Stan Lee. 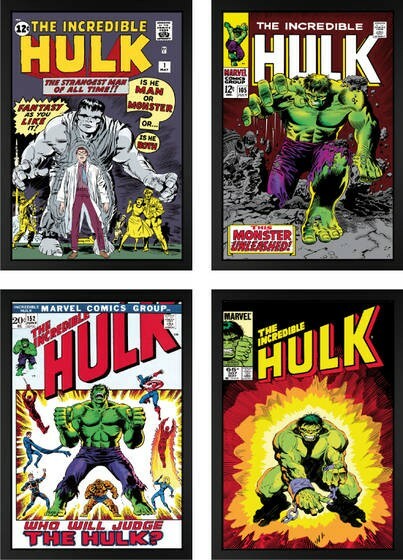 An incredible set of limited edition boxed canvas Hulk prints. Iconic comic book covers in an Edition Size of 195, each signed by Marvel comics legend Stan Lee. The Incredible Hulk Set of Four features cover art from: Jack Kirby, Marie Severin, Frank Giacola, Herb Trimpe, John Severin, Mike Mignola and Steve Leialoha. Comes with certificates of authenticity and framed. Image size: 27.50" x 40"